The Cass Global Advisory Board serves to help shape, elevate and fuel our collective ambitions for Cass as a leading global business school. The Board’s focus is two-fold: strategy, informing strategic vision and priority initiatives and advancement, aiding development of supporting capabilities, partnerships and brand. Board members counsel and champion Cass through their business insights, professional networks and personal engagement. Comprised of inspirational leaders across regions, sectors and generations, advisors represent the exceptional diversity and global reach of Cass. Mark Brenninkmeyer was born in Birmingham in 1953. He was educated at Stonyhurst and gained a BA at Cass Business School and later, an MBA from Babson College, Boston, USA. 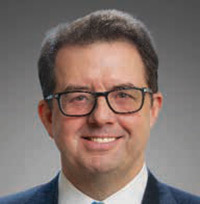 He has led business initiatives in America and the UK, having been Group Executive with Amcena (Retail) and President of Maurices ARG (Retail) in the USA, Chairman of C&A United Kingdom (Retail) and Chairman of Porticus UK. He is married with four children. José Luis Cutrale is a Brazilian business leader, living in the United Kingdom. He is the Chairman of Sucocitrico Cutrale Ltd, one of the world’s largest producers of oranges and orange juice. Mr Cutrale carries extensive experience in the agribusiness after 50 years in the worldwide citrus business. 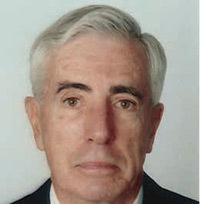 Mr Cutrale is also a director of Chiquita Holdings, Fresh Express (a salad business in the USA), Administrative Board of Coca-Cola Femsa, Advisory Board of Spal, member of the Brazilian American Chamber of Commerce, CitrusBR (Brazilian Association of Citrus Exporters) and CDES (Council Development Social and Economic). Mr Cutrale represents Brazil in diplomatic missions and in the worldwide citrus industry. 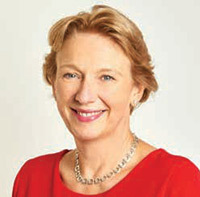 Jayne-Anne Gadhia has been Chief Executive of Virgin Money since 2007. She subsequently spent five years at RBS as part of its Retail Executive Committee, before returning to Virgin as the CEO of Virgin Money. In 2012, Virgin Money acquired Northern Rock and in 2014 it successfully listed on the London Stock Exchange. In November 2016, Jayne-Anne was appointed as the UK Government’s Women in Finance Champion and in July 2017, she became a founder member of its Business Diversity and Inclusion Group. This followed her independent review for HM Treasury into the representation of women at senior levels in financial services, which was published in 2016 and led to the creation of the Women in Finance Charter – a commitment by signatory firms to build more balanced workforces. She is a member of the Financial Conduct Authority’s Practitioner Panel, the Board of UK Finance and the Scottish Government’s Financial Services Advisory Board. She also sits on the UK Government’s Scottish Business Taskforce and the Mayor of London’s Business Advisory Board. She is a Trustee of the Tate and a member of the Advisory Board of the Scottish Policy Foundation. She recently completed an independent review of student financial support in Scotland for the Scottish Government and served on the UK Government’s Social Impact Investing Advisory Group, which reported in November 2017. Jayne-Anne is a firm believer in the importance of businesses making a positive contribution to society and has been Business in the Community’s National Responsible Business Ambassador since 2016. A committed supporter of The Prince’s Charities more broadly, she also Chairs the Dumfries House Trust and has previously served as Chair of Scottish Business in the Community. Married with one teenage daughter, Jayne-Anne lives in Edinburgh. She supports Manchester United. Professor Costas Th Grammenos established the Centre for Shipping, Trade & Finance at Cass Business School in 1983. In addition, in 1984 he established the MSc in Shipping, Trade & Finance which introduced a new approach in shipping and international business in general. In 1997, he established the MSc in Transport, Trade & Finance and in 2003 the MSc in Energy, Trade & Finance; more than 3700 MSc students have graduated from over 150 countries. Additionally, the Centre carries out and publishes research, through its staff and PhD students, in the areas of Shipping Finance, Maritime Risk Management, Commodity Trade and Finance and Energy. In 2007, to provide a lasting legacy for his lifetime achievements the University renamed the Centre the “Costas Grammenos Centre for Shipping, Trade & Finance”. He established the Piraeus Meetings (1983 – 2000); the Athens Triennial Meetings (2004 – to date) and the City of London Biennial Meetings (1999 – to date). 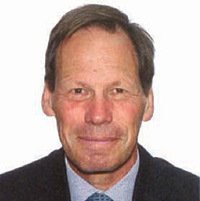 Costas was made OBE (Hon) by HM the Queen in 1994 for his work in international shipping and finance and in 2008, was appointed CBE (Hon) for his contribution to teaching and research in the maritime industry. In 2013, he was made ‘Commander of the Order of the Phoenix’ by the President of the Hellenic Republic. In 1999, he was awarded the DSc for creating Shipping Finance, through his published research, as a new academic subject. In 1998, he was Seatrade Personality of the Year and in 2011 and 2012 was included in the Lloyd’s List Top 100 Most Influential People in the Shipping Industry. In 2018, he was appointed to the Maritime 2050 expert panel to advise the UK government on maritime policy. 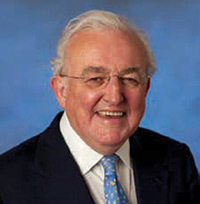 Lord Griffiths of Fforestfach joined Goldman Sachs as an advisor in 1991. He retired at the end of 2017 as a member of the boards of Goldman Sachs International and Goldman Sachs International Bank and chairman of their Audit and Risk Committees. Lord Griffiths started his professional career in academia; he taught at the London School of Economics from 1965 to 1976 and was appointed professor of Banking and International Finance at the City University in 1976. He was Dean of Cass Business School from 1982 to 1985. Lord Griffiths was a director of the Bank of England from 1982 to 1985. 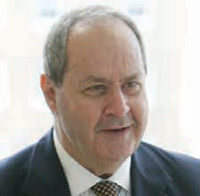 From 1985 to 1990, Lord Griffiths served at No. 10 Downing Street as head of the Prime Minister’s Policy Unit. As special advisor to Margaret Thatcher, he was responsible for domestic policymaking and was chief architect of the government’s privatisation and deregulation programs. He is a non-executive director of Times Newspaper Holdings Ltd. and has served on the boards of ServiceMaster, Herman Miller, English, Welsh and Scottish Railway, Land Securities Trillium, Telewest and Thorn-EMI. He has also been chairman of the Schools Examination and Assessment Council, the Centre for Policy Studies and a member of various Select Committees in the House of Lords. Lord Griffiths was for many years Chairman of the Archbishop of Canterbury’s Lambeth Fund and is Chairman of Christian Responsibility in Public Affairs. He has written and lectured extensively on economic issues and the relationship of the Christian faith to politics and business and has published various books on monetary policy and Christian ethics. Born in Fforestfach, Swansea in 1941, Lord Griffiths was educated at Dynevor Grammar School and the London School of Economics. Aastha is a Senior Banker and Managing Director at J.P. Morgan Private Bank in London, responsible for leading Entrepreneurial Client Coverage at J.P. Morgan Private Bank. Aastha is responsible for client advisory, discretionary, credit relationships and is responsible for developing business principally in the Ultra High Net Worth International Market in the UK both for principals and family offices. Aastha won the prestigious Rising Star Spears Wealth Management Award in 2016 and was featured in the Top 50 UK UHNW Wealth Advisors by Spears in 2016, 2017 and 2018. Aastha holds a Masters in Business Administration from Harvard Business School and a Bachelor of Science with honours from Cass Business School. Aastha is also a professionally qualified tax consultant in the UK. 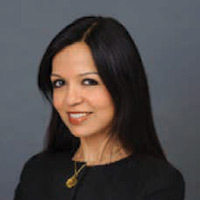 Aastha was on the EMEA Advisory Council at J.P. Morgan and continues to serve on the board of Harvard Business School Angels and the Womanity Foundation in the UK. Stelios was born in Athens on 14 February 1967, the son of the late Loucas Haji-Ioannou, a self-made Greek-Cypriot shipping magnate. Stelios is best known for creating easyJet in 1995 when he was just 28 years old and his airline now flies over 85 million passengers annually. In 2000, Stelios floated easyJet on the London Stock Exchange in order to fund future fleet growth but he and his family have always remained the largest shareholders owning about one third of the shares. A strategic decision made during the easyJet flotation meant that ownership of the ‘easy’ brand, (including easyJet) is retained in Stelios’ private investment vehicle, easyGroup, based in Monaco and London. Stelios started giving back to society more than 10 years ago and now runs the Stelios Philanthropic Foundation which supports philanthropic activities primarily where he has lived and worked: UK, Greece, Cyprus and Monaco. 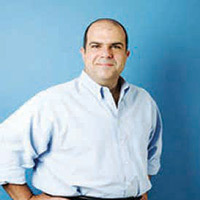 In 2006, at the age of 39, Stelios received a knighthood from HM Queen Elizabeth II for services to entrepreneurship. Since 2009, he has been the Honorary General Consul for the Republic of Cyprus in the Principality of Monaco - where he lives. He is a graduate of the London School of Economics and has a master’s degree from Cass Business School. Moreover he has been awarded four honorary doctorate degrees from City University, as well as from Grandfield, Liverpool John Moores and Northumbria (Newcastle) Universities in the UK. 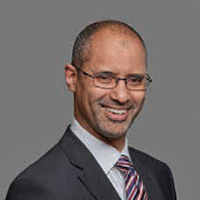 Tom Ilube CBE is a technology entrepreneur and educational philanthropist. He is founder and CEO of Crossword Cybersecurity plc. Previously he was Managing Director of Consumer Markets at Callcredit Information Group, the private equity backed UK credit reference agency. Prior to Callcredit, Tom founded and was CEO of Garlik, a venture capital-backed identity protection company, sold to Experian in 2011. Earlier, Tom served as Chief Information Officer of Egg plc, the pioneering FTSE 250 UK internet bank. His career has included Goldman Sachs, PwC and the London Stock Exchange. 2017 and was awarded an honorary Doctorate of Science from City, University of London in 2018 and an honorary Doctorate of Technology by the University of Wolverhampton in 2005. Tom was appointed to the Board of the BBC as a non-executive director in April 2017 and was appointed a CBE in the Queen’s 2018 Birthday Honours for services to Technology and Philanthropy. Sima assumed the role of President & CEO of UBL on 1st June 2017. She started her career at American Express Bank and went on to work at ANZ Grindlays and Standard Chartered. Her last assignment was at Habib Bank Limited where she worked for 16 years, first as Head of Corporate & Investment Banking and then as Head of Branch Banking. Her 30 plus years of overall experience in Banking has included assignments in Risk Management, Retail, Corporate and Investment Banking. She has a degree in business from Kingston University, UK and an MBA from Cass Business School. After graduating from the Philosophy Department of Istanbul University Faculty of Literature, Şadan Kaptanoğlu studied shipping at London City College. She holds an MSc degree in Shipping, Finance and Trade from Cass Business School and she holds a PhD degree from De Montfort University. After working as the Managing Director of H.I Kaptano ̆ glu Ship Management Company until January 2014, she became the chief executive officer of Kaptano ̆ glu Shipping. On 6th June 2017 at the BIMCO General Meeting in Rome Şadan Kaptanoğlu was elected as President Designate of BIMCO thereby becoming the first woman to reach that position. 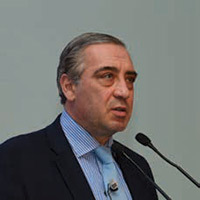 Şadan Kaptanoğlu is the chairperson of TURMEPA and vice president of INTERMEPA. She is the Chairman of Turkish Committee of Lloyd’s Register. She is the Chairman of Turkish Committee of RINA. She is the first winner of Seatrade awards “young person of the year” in 2008, in London. Şadan Kaptanoğlu is married and has two daughters. 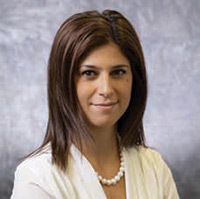 Serif Kaynar has been working with Korn Ferry since 1996. Mr Kaynar brings deep leadership and an understanding of Senior and Board Level roles. Prior to joining Korn Ferry, he was the Country Manager for Asea Brown Boveri’s operations in the Ukraine. Earlier, Mr Kaynar was with Westinghouse Electric Corporation in a variety of managerial positions covering Africa, Europe, the Middle East and the Commonwealth of Independent States. Mr Kaynar earned an MBA from Cass Business School, a bachelor’s degree in chemical engineering from Bradford University in the United Kingdom and a French baccalaureate from the Saint Joseph French Lycée in Istanbul. He speaks Turkish, English, French and Russian. Mr Kaynar is active member of more than a dozen NGO’s. He was past president of the Young Turkish Businessmen Association GYIAD, past president of Istanbul Propeller Club and past president of Istanbul Rotary Club. Currently Lead Director of IHS Markit (ticker; INFO), London, a global data analytics and information firm with US$20 billion market capitalisation. Chancellor, St. Mary’s University, Halifax, Canada. Mr Kelly holds a B.Comm from St. Mary’s University, Canada, an MBA from Cass Business School, a Canadian CPA and CA, an FCA and was awarded honorary doctorates from both universities. He is on the Board of Directors of the International Churchill Society and is a member of the Toronto Club, Boca Raton Club and National Cartoonists Society (Chicago Chapter). Bob is married to Rose and has two children and two grandchildren. Mr Kent joined The Coca-Cola Company in Atlanta in 1978, holding a variety of marketing and operations leadership positions over the course of his career. In 1985, he became General Manager of Coca-Cola Turkey and Central Asia. Beginning in 1989, he served as President of the Company’s East Central Europe Division and Senior Vice President of Coca-Cola International, with responsibility for 23 countries. 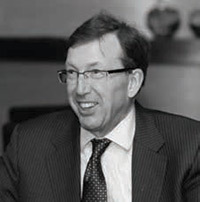 In 1995, Mr Kent was named Managing Director of Coca-Cola Amatil-Europe, covering bottling operations in 12 countries. 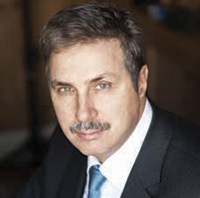 In 1999, he became President and CEO of the Efes Beverage Group, a diversified beverage company with Coca-Cola and beer operations across Southeast Europe, Turkey and Central Asia. 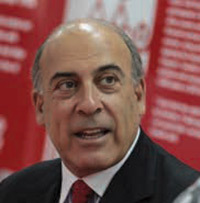 Mr Kent returned to The Coca-Cola Company in 2005 as President and Chief Operating Officer of the Company’s North Asia, Eurasia and Middle East Group, an organisation serving a broad and diverse region that included China, Japan and Russia. Less than a year later, he became President of Coca-Cola International, leading all of the Company’s operations outside North America. In 2006, he was named President and Chief Operating Officer and he became CEO in 2008. Mr Kent holds a Bachelor of Science degree in Economics from the University of Hull in England and an MBA from Cass Business School. the boards of 3M, Special Olympics International, Catalyst, Cambridge China Development Trust and Emory University. 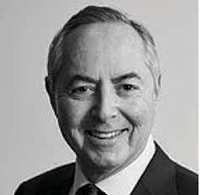 Russell Lyons is a Chartered Accountant and graduate of Cass Business School. He qualified with Deloitte Haskins & Sells and worked for DH & S Management Consultancy. 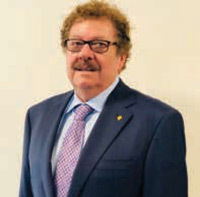 He has held Board positions with several international companies in industries ranging from Property to Shipping and Computer Technology. He founded Innovation Software, Management Innovation Systems, Torch Computers, Icon International Container Services and The Middle East Container Repair Company. contradictory pressures and challenging double-binds. Her work develops paradox theory to explore related leadership opportunities and challenges. Studies span contexts, applying this lens in such fields as product development, organisational change, governance and technology implementation. Her paper, “Exploring Paradox: Toward a more comprehensive guide” received the Academy of Management Review Best Paper Award in 2000. Her work also appears in other leading journals, such as the Academy of Management Journal, Organisation Science, Journal of Operations Management and Human Relations. Professor Lewis was a UK Fulbright in 2014 and is currently completing two books addressing leadership and organisational paradox. Mr Papadimitriou is a practicing lawyer. In 1989, he was appointed a lawyer to the Supreme Court of Athens. Since, 1992 he is the managing partner of the legal firm of “A.S. Papadimitriou and Partners Law Firm”. In 1988, he was elected member of the Board of Directors of the Alexander S. Onassis Foundation on the recommendation of the then president Christina Onassis. In 2005, he was elected President and Treasurer of the Board of Directors of the Onassis Foundation. In 1992, Mr Roditi founded N.Roditi & Co., an FCA authorised investment advisory company, which he continues to manage. Mr Roditi started his investment career as an analyst at J. Henry Schroder Waff & Co., after graduating from Cass in 1970. In 1973, he first visited Japan and began analysing Japanese securities. He was involved in the establishment of the Schroder Group representative office in Seoul in 1977, where he resided until 1979. He then became the Schroder Group Representative in Japan from 1979 to 1981 before returning to London to assist in the establishment of Schroder Securities Ltd. In 1986, he became director of J. Rothschild Holdings PLC where he was involved in investment management concentrating on Japan and Korea. From 1992-2001, Mr Roditi was the lead outside manager for the Quota Fund NV, part of Soros Fund Management. Mr Roditi was a Trustee of the Museum of American Finance, New York and has been a longstanding member of several Cass Boards over the past 20 years. Mr Roditi lives in London. Alya Samokhvalova joined Petropavlovsk PLC in 2002. She has held various senior management positions within the Company and is currently Deputy CEO, Head of Corporate Office. She headed the Group’s communications department since 2002 and in addition to this role, Dr Samokhvalova was appointed to the Board as Strategic Director in January 2011. She is Chairman of the Strategic Committee and a member of the Executive Committee. Dr Samokhvalova holds a Master’s in Investment Management from Cass Business School and a PhD in Economics from the Moscow International High Business School. 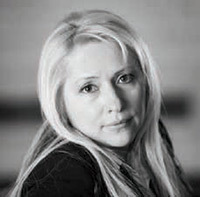 Dr. Samokhvalova serves on the Board of the Russo-British Chamber of Commerce. 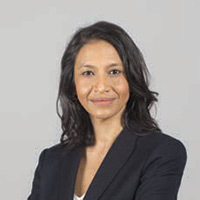 A former investment banker and lawyer, Salma combines restructuring, M&A and debt raising skills with hands-on execution on the African continent as well as private and public company expertise. Since 2016, she has been the managing director of Gold and General Limited, an investment holding that controls Zimbabwe’s largest gold producer and Standard Telecoms, the Democratic Republic of Congo’s only private fibre optic licence holder. She successfully led the acquisition and turn-around of Standard Telecoms in 2017 and the restructuring of Metallon Corporation in 2016. In 2012, she founded Medea Natural Resources, an FCA regulated financial advisory firm which she grew and successfully exited in 2015. Prior to this, she was an investment banker at Société Générale (London) and Oriel Securities (London) and trained as a lawyer at Norton Rose. Salma holds a master’s in business law and an Executive MBA from Cass Business School. She is currently a non-executive director of Algold Resources, a Canadian listed gold company. Brian’s career covers 40 years of leadership positions in international banking with focus on Asia Pacific and Middle East. Established and led the operations of Midland Bank Group, NedBank and Emirates NBD Bank in various locations in the Asia Pacific region. Ran wide range of international and investment banking businesses including syndicated lending, trade finance, project and export finance and wealth management. Presented papers and spoken at numerous seminars and conferences. 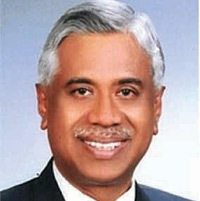 He is the Founder President of the UAE Singapore Business Council and is Honorary Fellow of the Middle East Institute of the National University of Singapore. Has sat on the committees of several Governmental and Business organisations. First graduating class of the BSc (Hons) in Banking and International Finance and earned an MSc (Finance) both at Cass. Holds a DBA (Finance) from the University of Western Australia School of Business. Founding Director of ME Asia Consultancy and Nexus Business Solutions. Lama started her insurance career in 2000 and spent 15 years working in the London insurance market, servicing and placing business emanating from the MENA region across all classes of business. Lama joined Lockton in London in 2007 and played an integral role in the start up of Lockton MENA. Lama is a Fellow of the Chartered Insurance Institute (FCII) and holds a Master’s in Insurance and Risk Management from Cass Business School. She is also a Non-Underwriting Working Member (NUWM) of Lloyds of London. Mr Nikolas P. Tsakos is the Founder and Chief Executive Officer of Tsakos Energy Navigation (TEN), a pioneering shipping company, established 25 years ago and quoted on the New York Stock Exchange. He comes from a traditional Chios seafaring family and has extensive seagoing experience, having also served as an Officer in the Greek Navy. Mr Tsakos is the Chairman of INTERTANKO and the former President of HELMEPA. He also sits on the boards of a number of other organisations and associations. Mr Tsakos graduated in 1985 from Columbia University in New York with a degree in Economics and Political Science and obtained a Master’s in Shipping, Trade and Finance from London’s Cass Business School in 1987. In 2011, he was awarded an honorary doctorate from the Cass Business School, for his pioneering work in the equity financial markets relating to shipping companies. He is married and has three children. 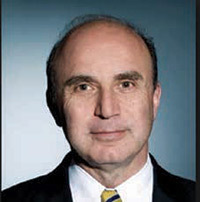 White served on the boards of a number of quoted and private companies and numerous government committees, was Deputy Chairman of the Prince’s Business Trust and is currently a member of the board of Pepperdine University in California. He holds an MBA from Cass Business School, an MA from Pepperdine University and a UK Investment Management Certificate. White has four children and divides his time between New York, London and Rome. He has recently been appointed an Honorary Visiting Professor at Cass, teaching behavioural corporate strategy to postgraduate students. 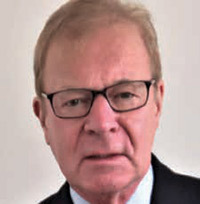 Robert Legget is a graduate of Cass Business School and a longstanding supporter of the School, both through his donations and as a Member of the Cass Strategy and Development Board and Chairman of the Cass Alumni Board. Robert is Managing Director of Progressive Value Management Ltd, an investment company that he cofounded in 2000. In the previous 15 years he held the roles of Corporate Finance Director and subsequently Main Board Director at Quayle Munro Holdings plc, an independent Edinburgh-based merchant bank. While at the bank, he was responsible for the management of East of Scotland Industrial Investments plc, an investment company that specialised in making direct unquoted investments. Robert is also a Scottish Chartered Accountant. Until May 2009, he was a non-executive director of Foreign & Colonial Private Equity Trust plc. He was appointed a non-executive director of Lakehouse plc in April 2016. Remuneration Committee. From 2009 through 2014, Mrs Kilsby was Senior Advisor at Credit Suisse where she focused on senior level coverage of global corporations. 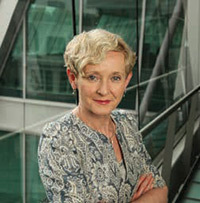 In 2007, Mrs Kilsby was recognised by both forbes.com and Financial News as one of the Top Ten Women in Finance and was again recognised by Financial News each year from 2008 through 2011. 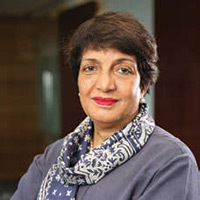 From 2010 to 2013, she was Chairman of the international region of C200, an organisation composed of leading women in business globally and was a founding member of the Competitor Diversity Forum in London. Mrs Kilsby is a Senior Visiting Fellow of Cass Business School and Chairman of the M&A Research Centre at Cass. 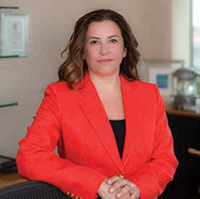 She is a member of Wellesley College’s President’s Advisory Council and its Business Leadership Council, serves on the Board of Advisors at the Gordon A. Rich Foundation and acts as a Senior Industry Advisor for Star Mountain Capital. Mrs Kilsby received her BA from Wellesley College in 1980 in Economics and an MBA from the Yale School of Management in 1984. In 2016, she received a Doctor of Science (honoris causa) from City, University of London. She resides with her husband Richard Kilsby in Switzerland, South Africa and the USA. 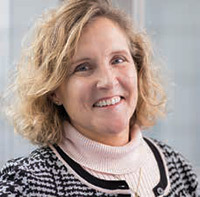 She is currently deputy chairman of Danske Bank A/S (Copenhagen) and a non-executive and chairman of the Risk Committee at both TP ICAP, the world’s largest inter dealer broker (London) and BNY Mellon Bank SA/NV (Brussels). 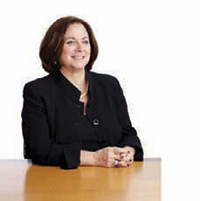 Carol is chairman of the British Standard Institute’s Standards Strategy and Policy Committee and was previously a non-executive director at Martin Currie (asset management) and Secure Trust Bank. She has led and participated in projects and reviews for UK Government and the EU Commission on financial services and regulation and has been on the boards of a number of universities. Carol is an MBA alumnus and has recently been appointed chair of the Global Women’s Leadership Council at Cass Business School.